You may have heard a little bit about this on the podcast, but now that the entire situation has been resolved and I have all necessary images (and video!) to go along with the story, it is time to share my experience. First up, however, you will need a little bit of back-history with my hardware failures over the years, if only to place the PSP in context. The first thing to go was my SNES. It was a very gradual death, and was specific to only certain games at first (leading me to believe it was the games and not the system); for example, Super Mario All-Stars would play perfectly fine, but entire blocks of terrain would be missing in Super Mario World, creating impossible jumps and therefore halting any further progress in the game. DragonBall Z: Super Butôden 3 had character sprites that would show up normally at the very beginning of a fight, but then get stuck in their standing animation and slowly begin to hover up and off-screen. Trust me, I know… it almost sounds like a possessed system. I eventually realized it was the system, and a lovely new SNES from the wife a couple years later resolved all of those issues. Around the same time, my own Nintendo 64 died for no particular reason. It would not power up, so there was no possible testing I could do. The wife stole hers from the parents’ place, and so that situation was easily resolved. 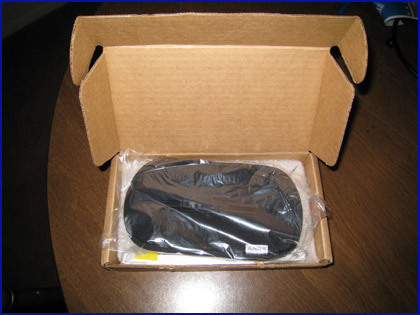 Followers of this site will remember well my experiences with my Xbox 360 and the non-RROD errors with the video/GPU/something frying itself alive (Parts: 1 / 2 / 3 / 4 & 5), which I ultimately had to pay $99 out-of-pocket to have replaced. Needless to say, I have not had the best luck in the world with hardware failures, but I certainly never expected my PSP to spontaneously brick itself beyond the point of even being able to hack it back to life. The last time I remember using my PSP was on the plane ride back from our honeymoon in November 2008. It was not until the next month that I would try using the system again. Castlevania Chronicles had just come out as a downloadable PS1 game on PSN, and while I was busy converting over wedding footage to work on a video, I figured it would be fun to download the game to my PSP and play for a bit during batch conversions. Since it had been a month, the system did not turn on, and I assumed that the battery simply needed to be charged. I left the system plugged in overnight, and returned to it the next day to once again try to get it all hooked up to the PS3. Strangely, it still would not fully turn on. Shortly before I sent the PSP back (more details to come on that), I took the following video detailing exactly what would happen when I tried to use the system. It did not matter if I had the battery in or not; it did not matter if the battery was fully charged or not; it did not matter if I was using the power adapter or not; it did not matter if the WLAN switch was on or not; it did not matter if a UMD was in or not; it did not matter if a memory stick was in or not. 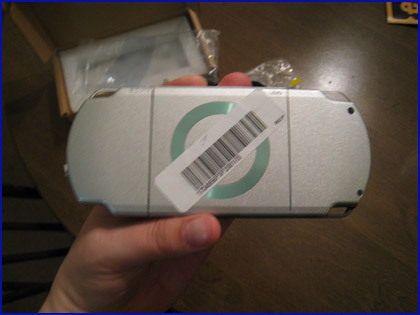 I contacted my buddy Corey, who I knew had modded his own PSP. I was well aware that various hacks and mods could bring a PSP “back to life” if it had been bricked, and since I had not even attempted to mod my PSP, I figured it may be an easy fix. Corey mailed me his Pandora Battery, and I picked up a 4 GB memory stick. For those who do not know me, I suppose I should say that I was genuinely not interested in pirating games. If I was going to have to format a memory stick to do the mod, I might as well get a large-capacity one and be able to fit some of those PSN downloads on it. I know, I know… it sounds like a standard, lame, typical justification… but it is the truth. I sat down on AIM with Corey later on and went through the process of formatting the memory stick, trying to get to the debug menu… trying to do anything. No matter what process we went through, the PSP still did the exact same thing as before. Over the next couple days, Corey would pop up with a new idea or twist on the process to try, but it made no difference. We ultimately concluded that the system did indeed spontaneously “brick” itself, but not in the traditional sense of “bricking”… it was a genuine hardware failure that even modding was not able to undo. I took very good care of the system, and even in my international travels it never really left my side or otherwise took any abuse. By this time we are into January 2009. I had purchased my system back in March 2008 (to go along with the release of Crisis Core). While Sony offered a standard one-year warranty on new hardware purchases, I no longer had my original receipt… which Sony required in order to be covered under the warranty. Seriously? Who still has an original store receipt, never mind one that is still legible with the crappy paper and ink they use in those printers, up to a full year later…? 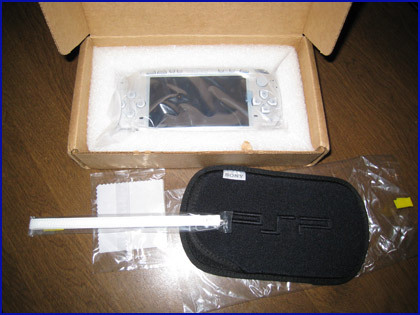 I have a PSP 2000 series system which I purchased in March 2008. For absolutely zero apparent reason, it has “bricked”. I have no custom firmware, and have played a grand total of four games, downloaded two demos, and have tried Remote Play with my PS3. With or without the battery (and connected to power), the green light turns on for a couple seconds, the screen tries to light up, but nothing happens and it turns itself off. It is a completely legit system and setup, and yet as far as I can tell, I would need to provide a physical, itemized store receipt in order to obtain my appropriate warranty coverage. Being that this was nine months ago, that is impossible. Please provide information on how Sony will be either fixing or replacing my system under its warranty/coverage. Thank you. Thank you for writing us. Unfortunaetly with out the proof of purchase you are out of warranty. And there will be a fee of $89. Ugh. Back to the drawing board for me. My next step was to stop down at Target (where I purchased the system), to see if they would be able to print out a receipt copy for me. While it was close to a year ago, I knew the exact date and price point for the system (along with other items purchased at the same time, namely Crisis Core and Patapon). I knew what their answer would be, but I was still upset to hear that I would have to get a copy from my credit card company. That meant another round of communication and waiting around, all while approaching that one-year cut-off. I opened up a ticket with my credit card company, and shortly there-after received a letter in the (snail) mail saying it had been sent over to the appropriate investigative department and I would receive a follow-up within a couple weeks. While I once again sighed in frustration at the amount of time the process was getting delayed, I figured it would be worth it to go along with it and see what they would come back to me with. Honestly, waiting around and maybe getting a free replacement was better than being rash and paying $89 out-of-pocket. I received another letter from my credit card company stamped 10 February 2009 with an attached “Sales Audit Copy”. This document showcased the exact date of the purchase, location, item name, and price. Fantastic! With documentation in hand, I attempted to open up a new repair ticket with Sony on 18 February 2009 (forgetting for a week that I needed to take care of it). I once again hit a brick wall when I tried to enter in my home address and the website would not take a single variation I tried (with the apartment, without, with the building number, without, abbreviating things differently, etc.). I noticed that their customer service phone line was still open for another hour, so I called them up and explained the situation. While the lady was very nice and I understand why she had to do so, I had to go through a process of testing the system with her (plug it in, take out the battery, etc.). Needless to say, I did not do a single thing she asked, and just replied, “It’s doing the same thing…” about three seconds after she asked me to perform another task. After a couple minutes of this pointless (but understanding) banter, she let me know that it sounded like what I said it was (no kidding…?! ), and that if I had that “Sales Audit Copy”, they would send me out a box to ship the system back in and I would be covered under the original warranty. The system fit very snug in between the flat layers of foam and the surrounding buffer. 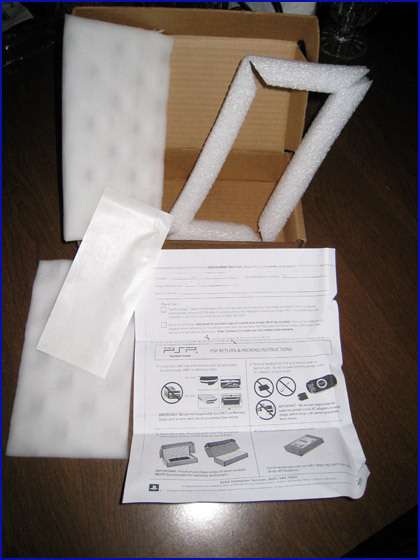 The one-page print-out gave rather simple instructions on how to package the system inside (and not to include any games, UMDs, memory sticks, batteries, etc.). All I had to do was toss it in and bring it to a UPS store! Of course, since I was in no real rush to play anything, it took me yet another week to remember to stick it in the mail to Sony. Heh. Cutting it close, Mike…! I fully expected to just see a PSP sitting in there, so I was surprised to see a nice little soft slipcase for the system. So there you have it. I would say it was an exciting process, but considering how many times I forgot to send something out, I think that speaks volumes about how much I truly cared. Please do not misunderstand; the PSP is a fantastic little system with a gorgeous screen and plenty of perfectly fine games to play on it, and I really wanted to get it back so I could continue toying around with the PS3 connectivity (and one day do a “New Game +” on Crisis Core). Had this happened to my DS, though? I would have been at the store five minutes later buying a replacement. Adults Can’t Play “Animal Crossing”…! Anyway, sorry to hear that your PSP got bricked, Mike. At least you got a whole new one! But you were cutting it close there. I do love that video you made (You sound so diffirent! ), but what I love even more is that letter they sent back. “Unfortunaetly”, indeed. 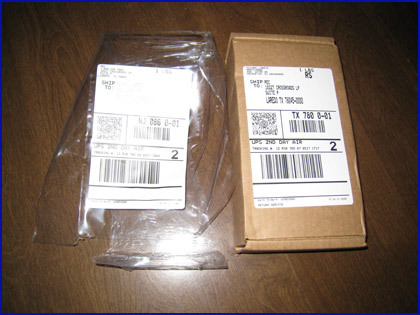 Maybe the ziplock bag is to keep your new system fresh so it wont die like the old one…okay, lame joke. I’m so glad that in my entire gaming history (starting with the NES and going all the way up to now) I’ve never had a system break down on me. The only systems I have that aren’t my personal originals are my NES (I gave my original one away way back when I got an SNES) and my PSX (got it from a friend during the PS2 era). Granted I still havn’t picked up a 360. I get the funny feeling that if I had one of those I’d be owning my first dead system. Fortunately for me, I have never, EVER had a video game system break down on me(knock on wood). Yes, this even includes my 360(it’s 2nd gen too). I can only thank God for blessing me with good video game hardware. Now, computers are a totally different story. Just about every computer I’ve owned has given me problems including my current one. I hope the next computer I get will be problem free. 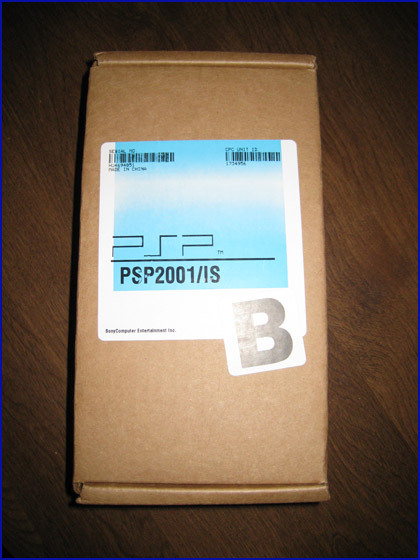 Were you hoping to get a PSP-2000 in return? 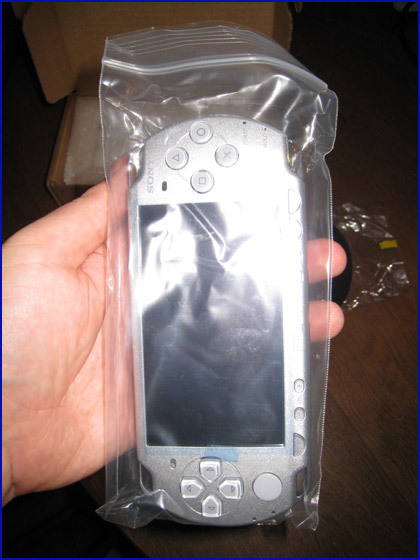 Or were you wanting the PSP-3000? If so, why? I’m in the market for a PSP and don’t know which want to get. Definitely not the PSP Go, since it can’t do UMDs.